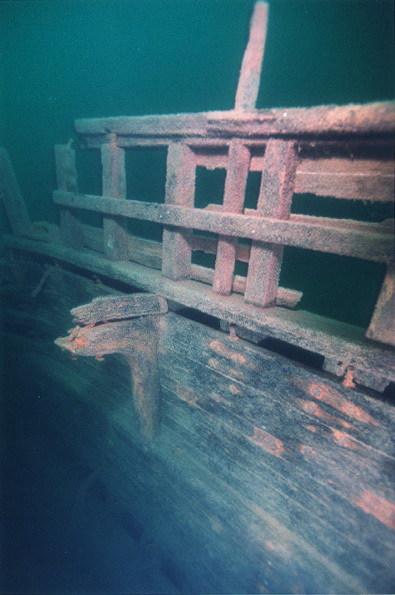 Although its been more than 100 yrs since it sunk in July 1884, Osborne is still remarkably intact. 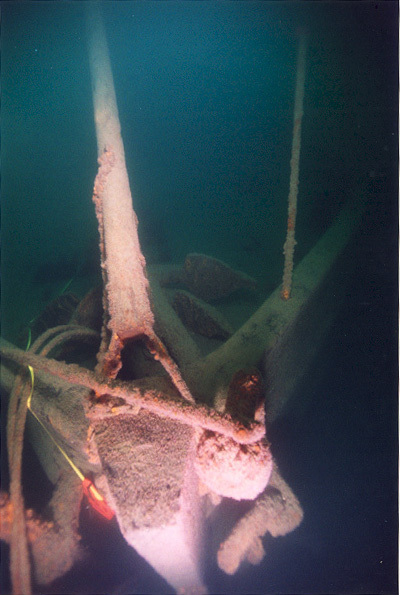 The sinking was a result of collision with the steel steamer Alberta in a dense fog that is such an often occurrence in that area. 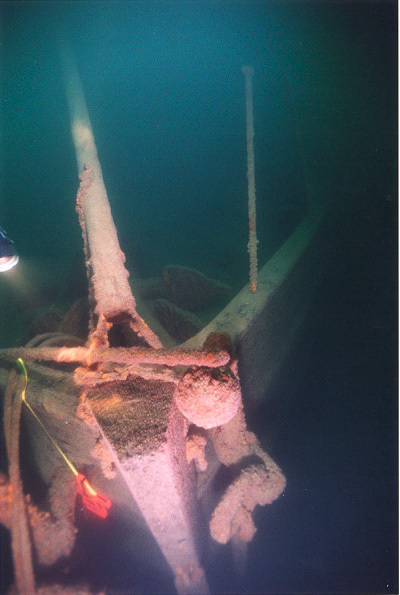 Osbornes wooden hull was not a match for the Albertas steel bow which cut Osbornes hull nearly in half in the area near the boilers. 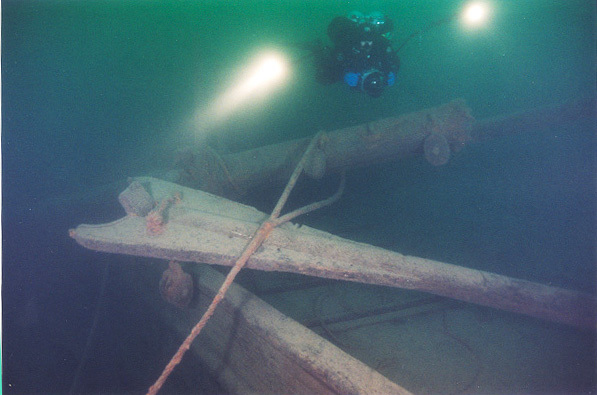 Doomed, Osborne sunk really fast, taking three of its crew down of the bottom of the lake. 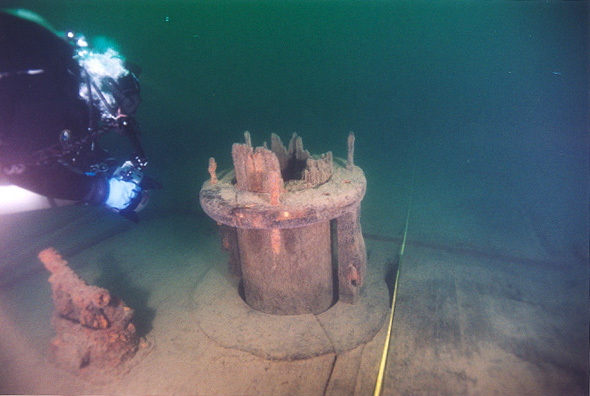 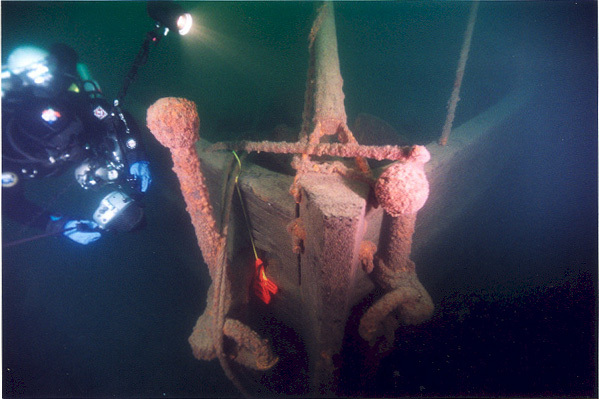 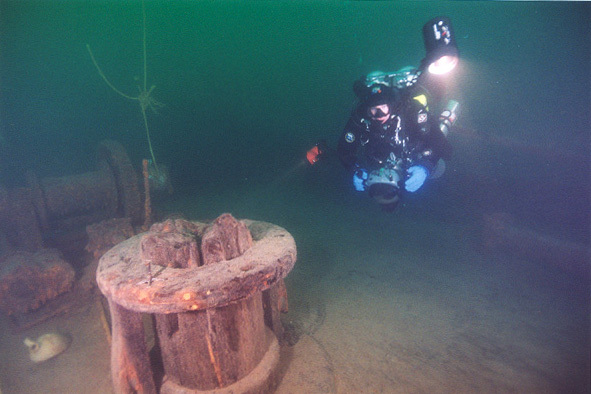 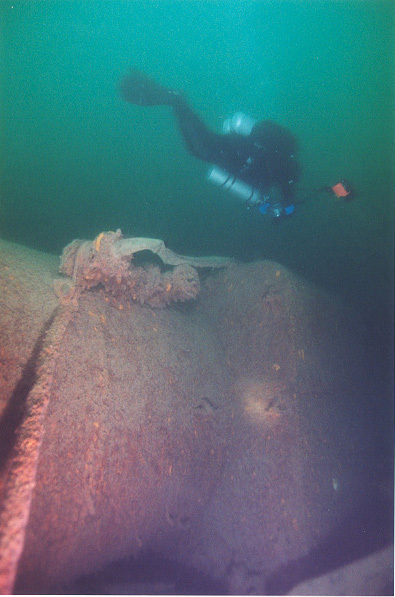 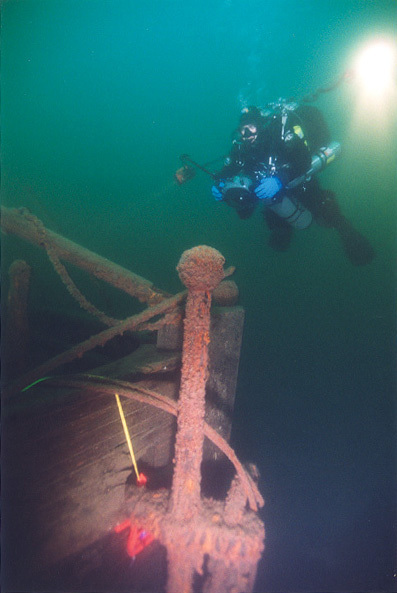 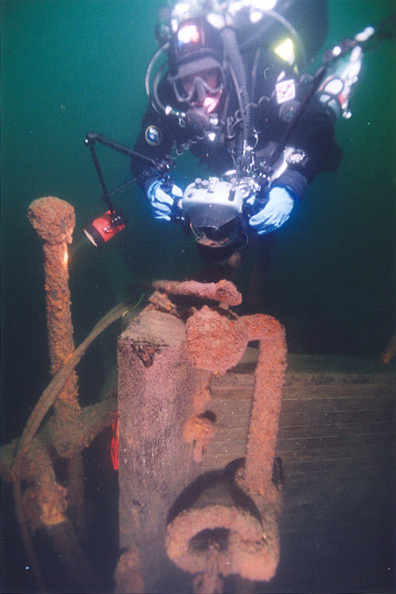 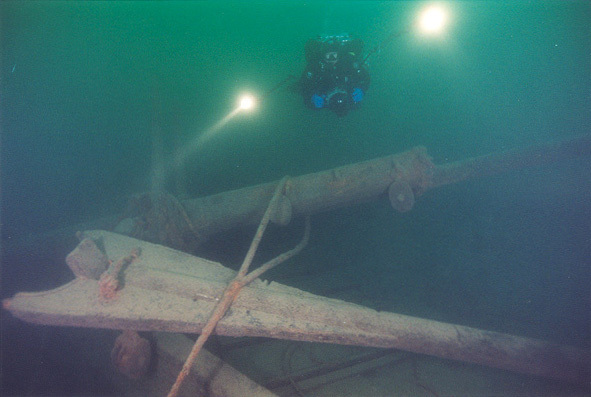 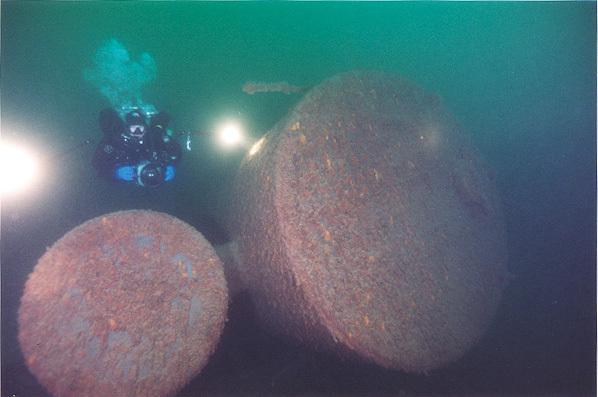 Today the wreck is one of the highlight of Whitefish Underwater Preserve. 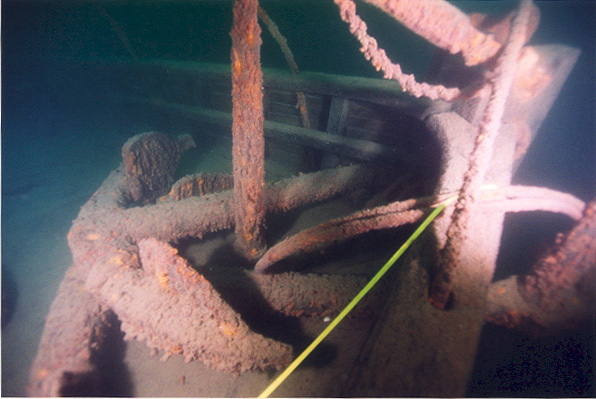 Its bow is very intact with both anchors still in their place. 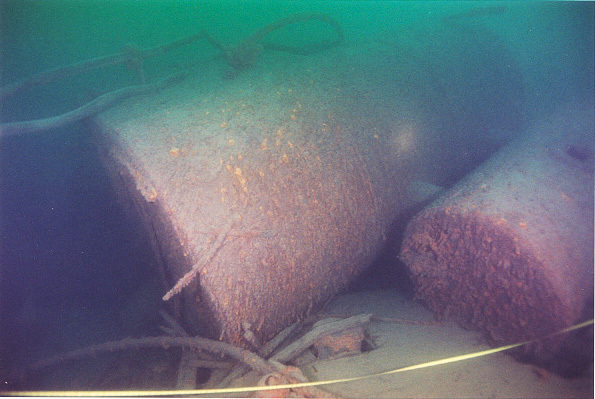 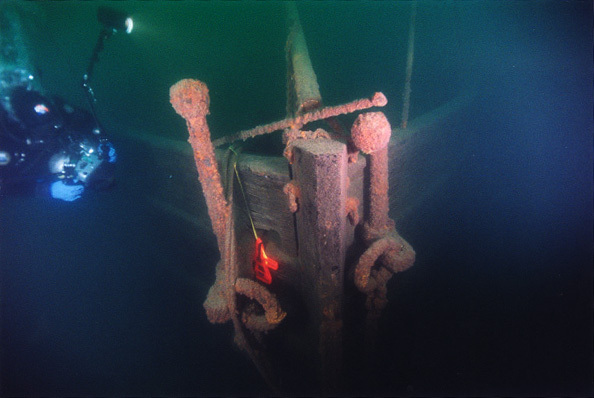 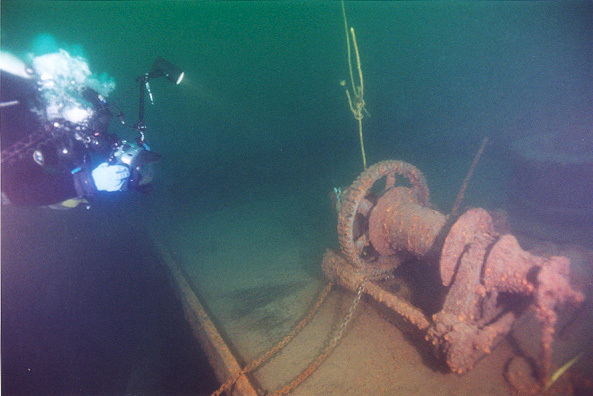 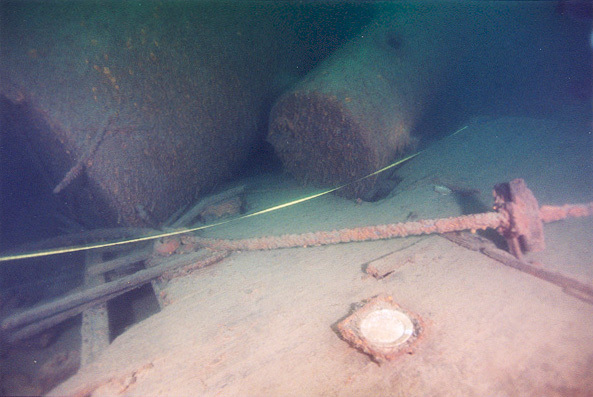 This was the first wreck that i have seen that had the doors in the sides of the bow for deploying hte anchors. 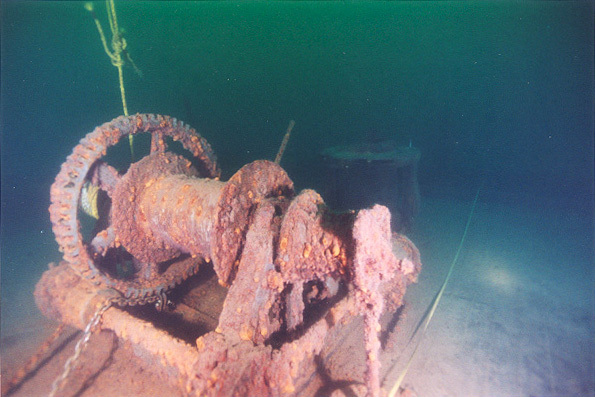 Moving from bow to stern, and away from mystery anchors, one would encounter the capstan and winch as well as remains of the masts that are all over the upper deck. 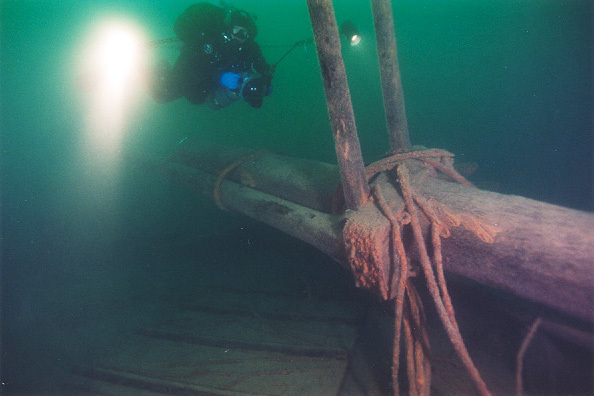 The masts foundations with fife rails and belay pins are still in place. 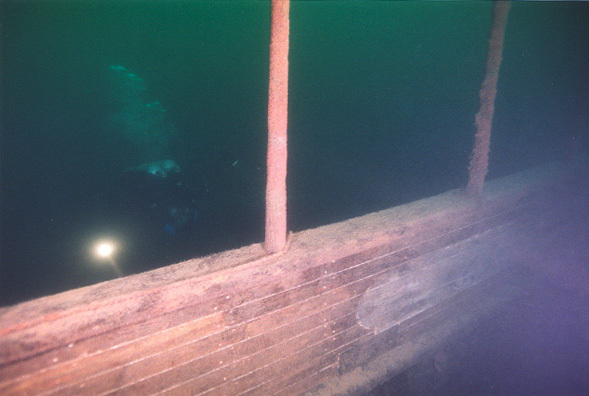 The collision gap that is clearly visible on the starboard side.